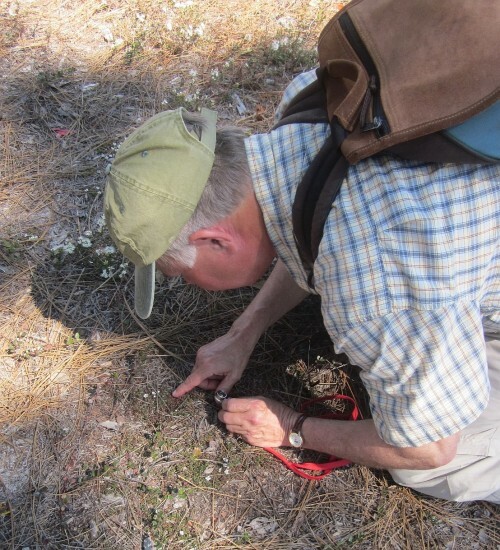 Retired botanist Paul Somers led an outing to Boiling Spring Lakes Preserve and the surrounding area. 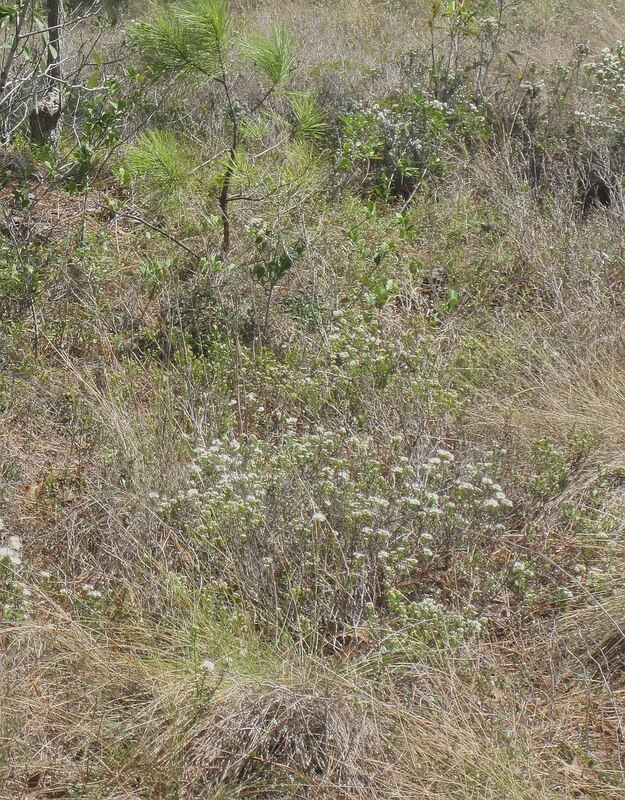 Thanks to Lara for her photographs! 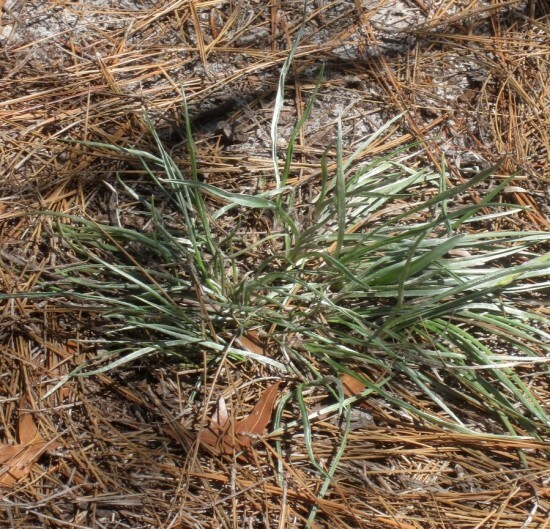 Pineland Silkgrass is named for the silver, silky hairs that cover the grass-like leaves. It has yellow, daisy-like flowers in late June to October. 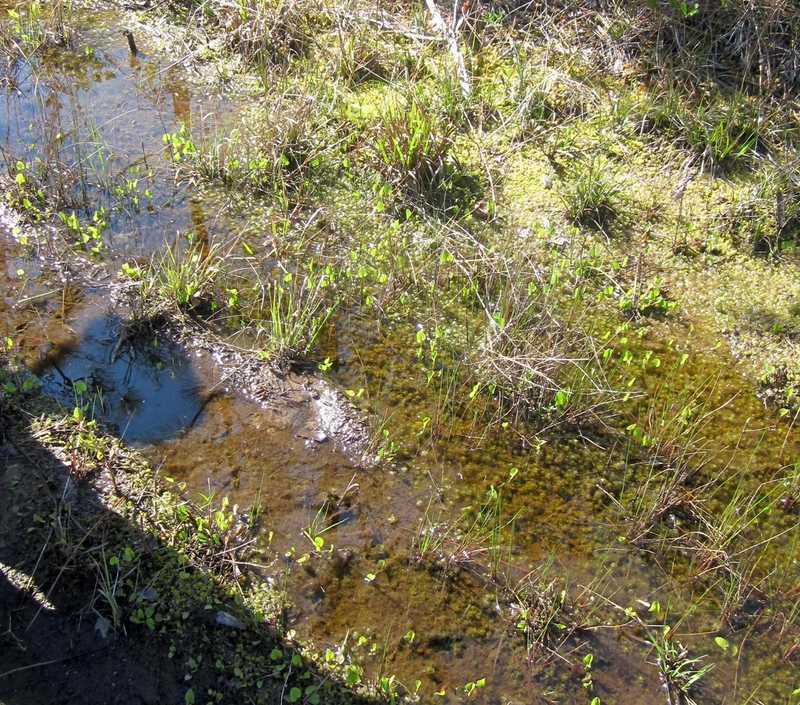 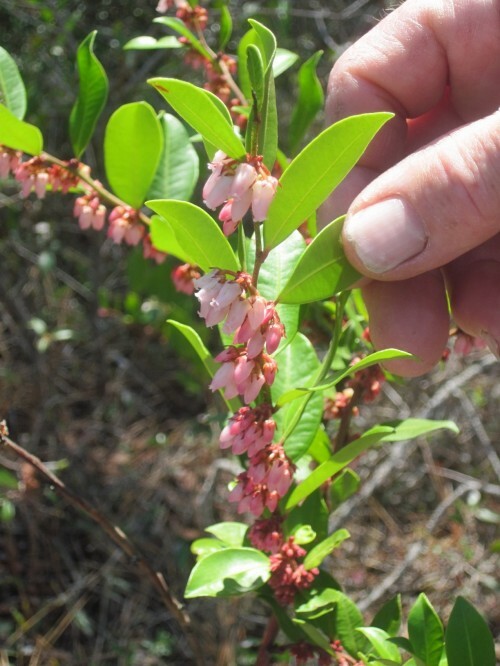 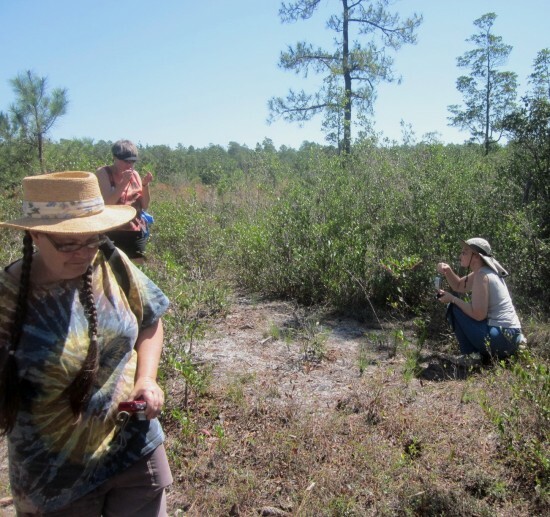 Low-growing and evergreen, Creeping Blueberry forms mats in pine flatwoods and savannas. 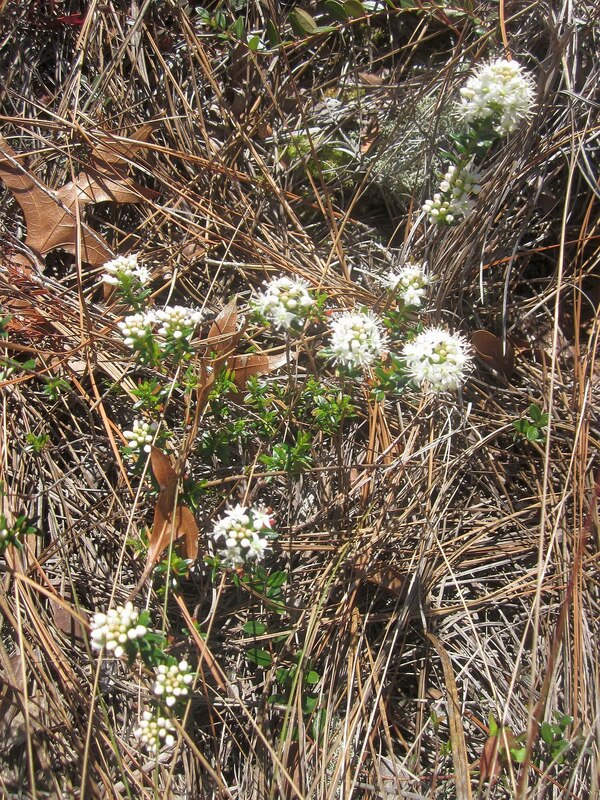 It has pinkish-white flowers in April. 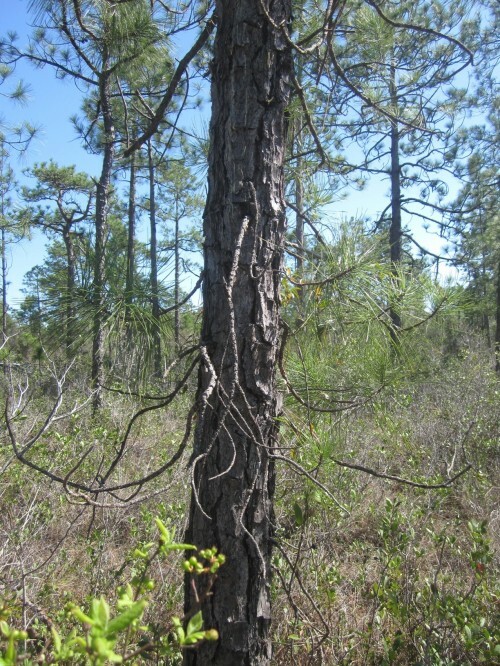 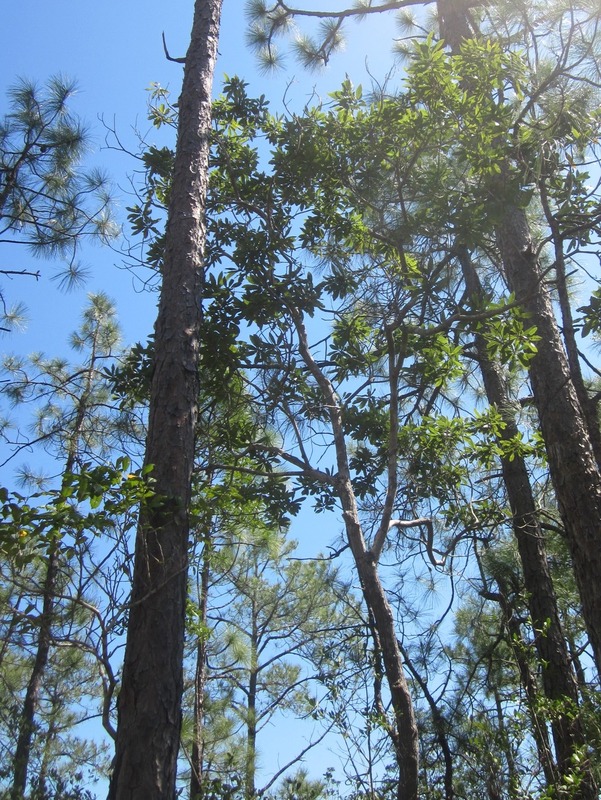 This habitat type has an open to sparse canopy of mostly Longleaf Pine with Sand Live Oak and Turkey Oak beneath. 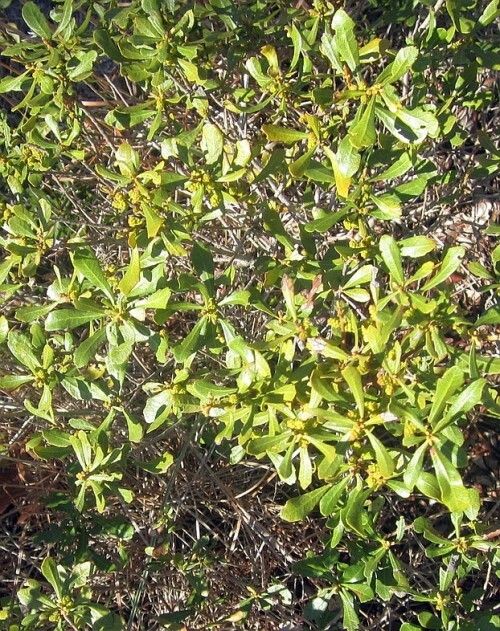 Shrubs include Inkberry, Wax-myrtle, American Olive and Southern Dwarf Huckleberry. Wiregrass often dominates the herb layer. 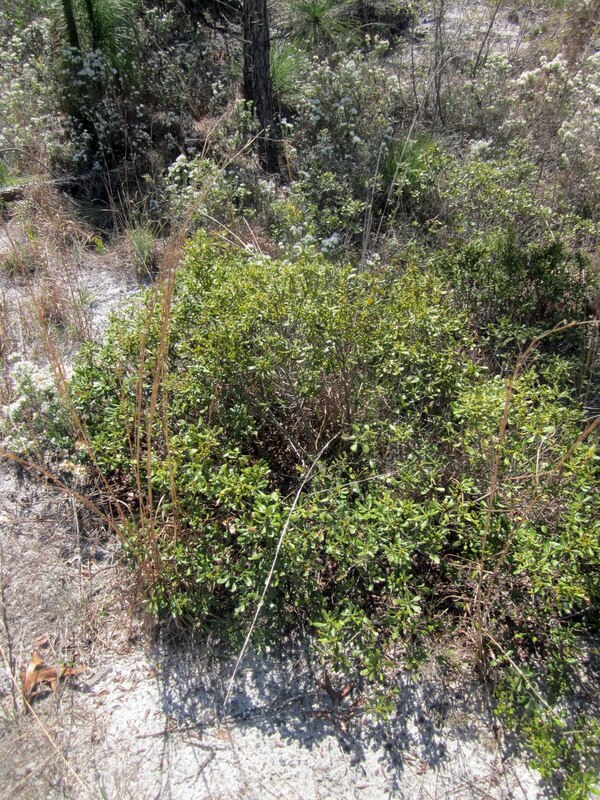 Shining Fetterbush has glossy leaves with a prominent vein running along the edges. 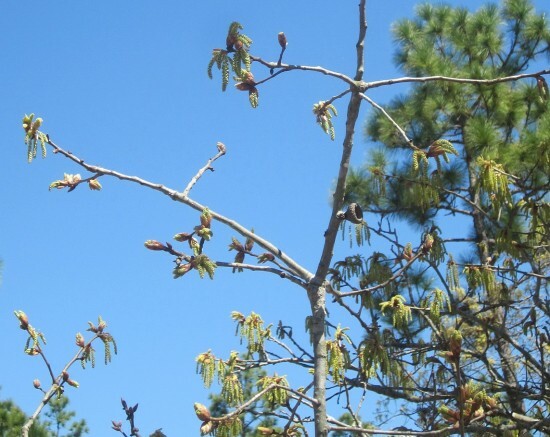 Fragrant flowers usually appear in April. 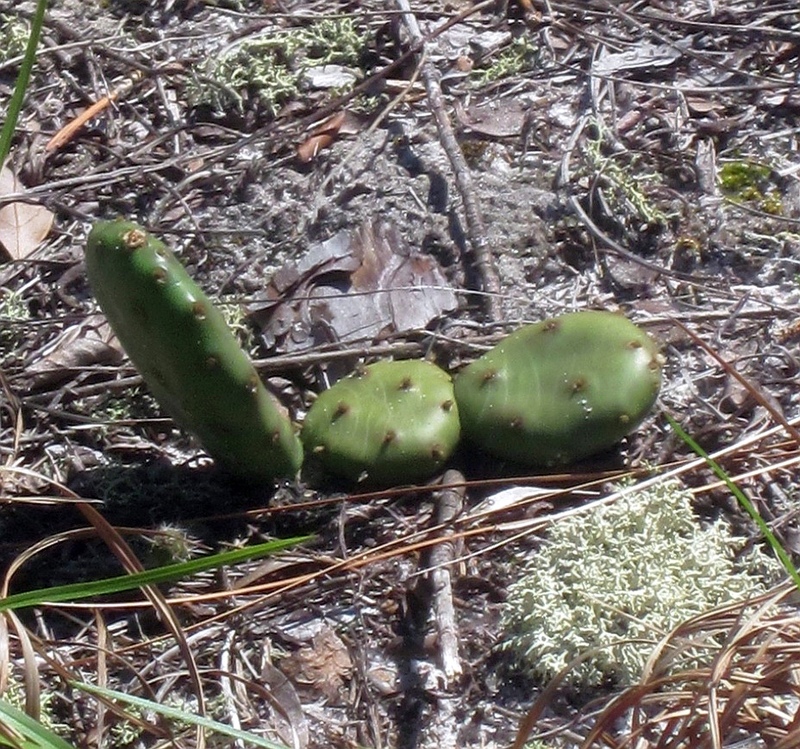 It prefers a pocosin or wet woods habitat. An important pocosin species and, together with Sweet Bay (Magnolia virginiana) and Red Bay (Persea palustris,) it is one of the three "bays" that are so hard at first to tell apart. It's the only one with serrated edges on the leaf tips and the tree has a distinctive narrow, conical shape. 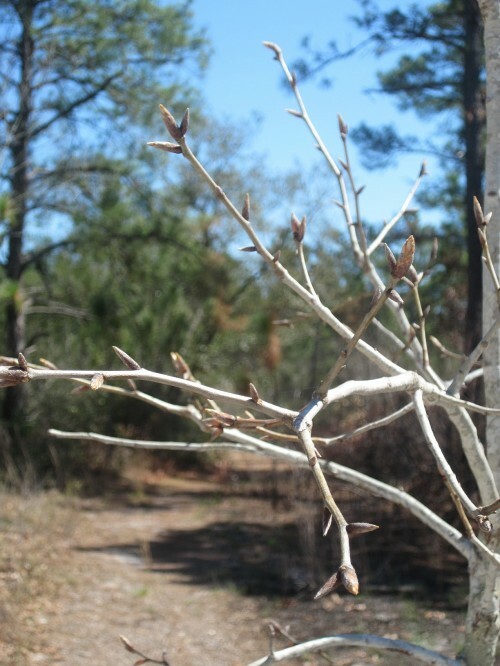 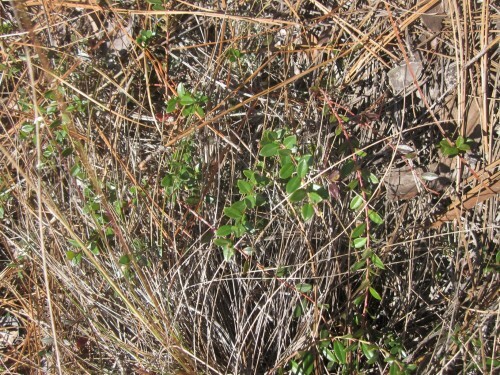 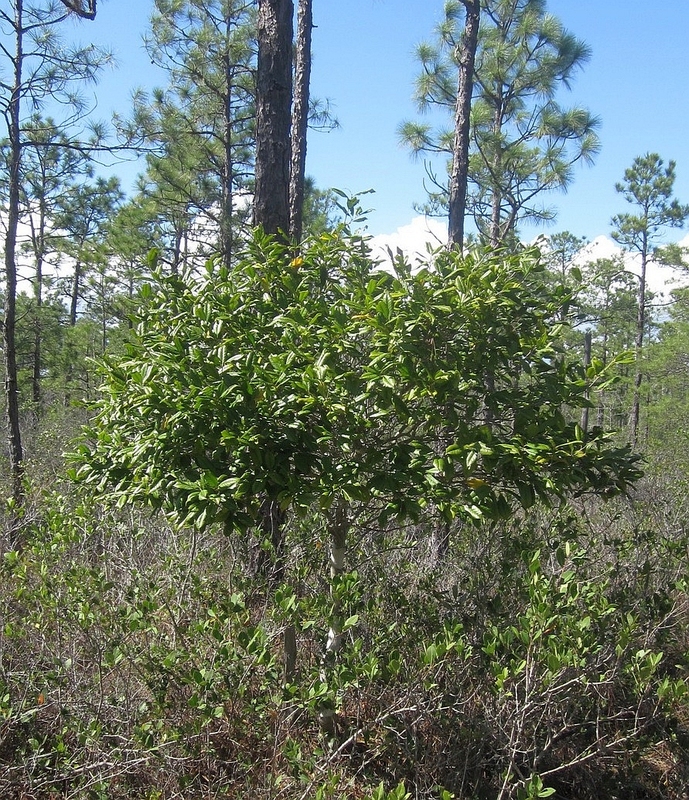 Dwarf Wax-myrtle grows in savannas and pine flatwoods, adapting to relatively moist to extremely dry soils. 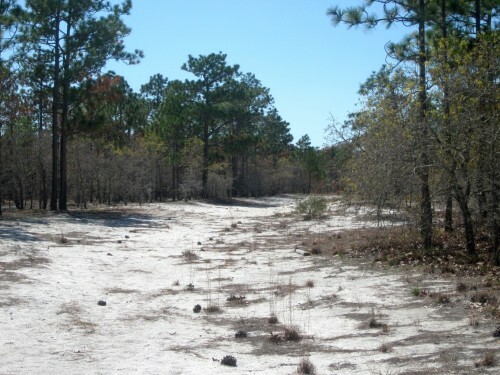 Coastal Fringe Sandhill habitat, showing the characteristic "sugar sand", very dry, sandy soil. 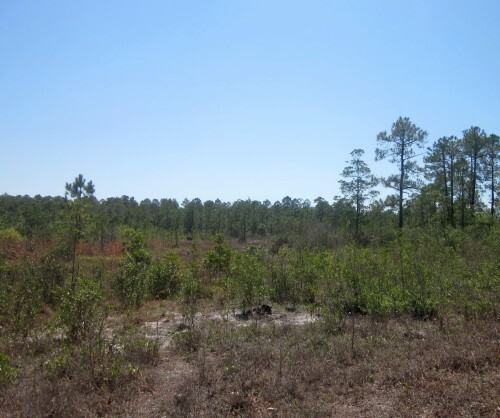 The land on the left has been recently burned. Pixie-moss is a tiny, evergreen sub-shrub, growing in pine flatwoods, savannas and pocosin edges. Photographed by Paul Somers. The best way to see Sand-myrtle! 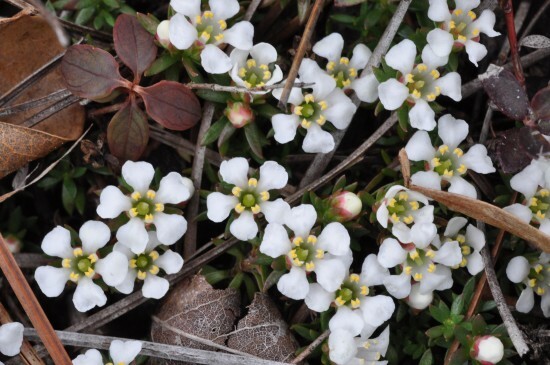 Bladderworts are carnivorous plants. 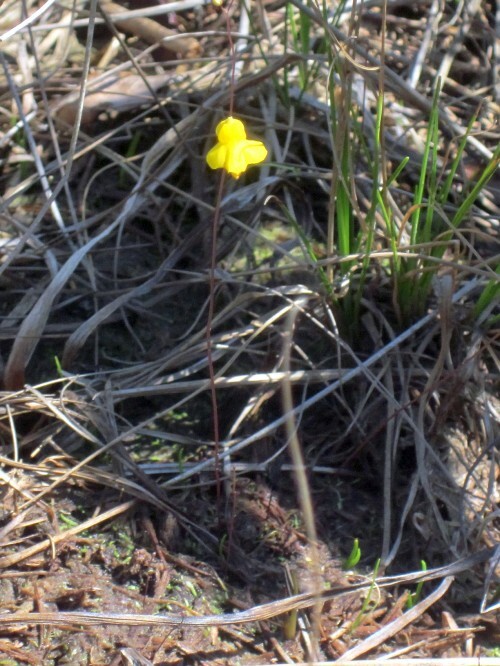 In terrestrial bladderworts like this one, the bladder traps are under the soil. Tiny animals swimming in the water-saturated soil are sucked into the partially vacuum-sealed bladders when they break the seal by brushing against certain hairs. 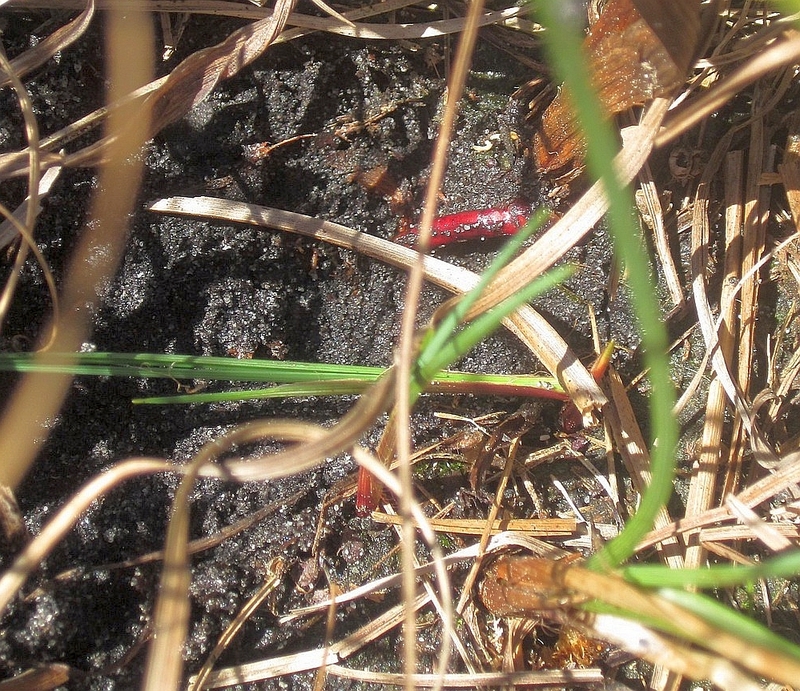 The lid then recloses and the animal is slowly digested. 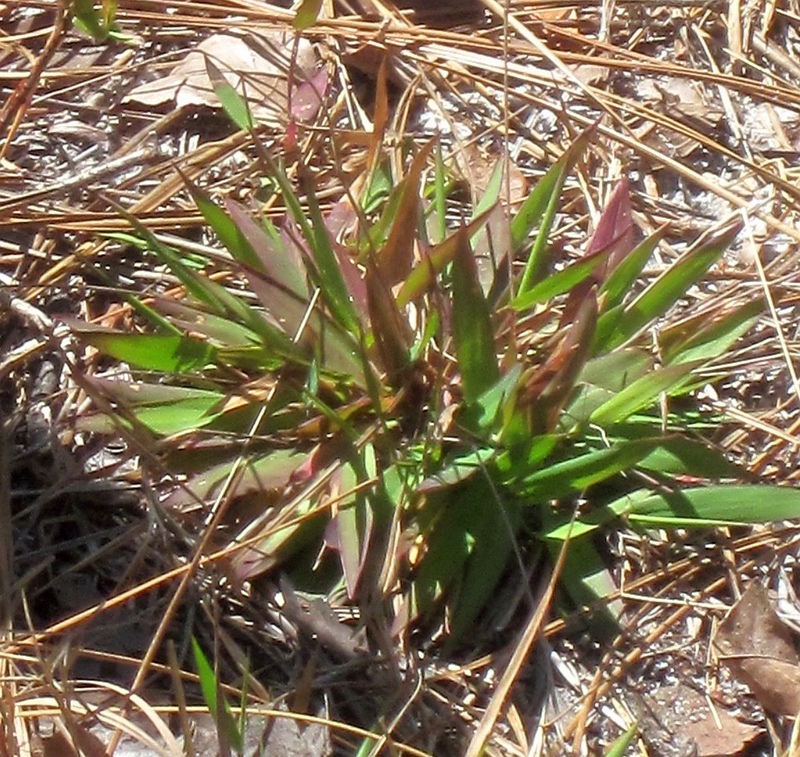 Redroot has leaves like an iris, white, woolly flowers in June and a really red root! 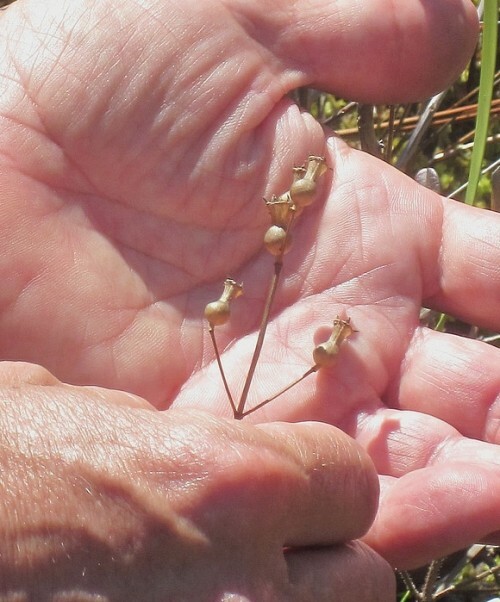 These urn-shaped seed pods are distinctive for the various species of Rhexia (Meadow Beauty). Paul also took the group botanizing along the roadsides, ditches and depressions near Boiling Springs Lake Preserve. Seed capsules of Yellow-eyed Grass, Xyris sp. 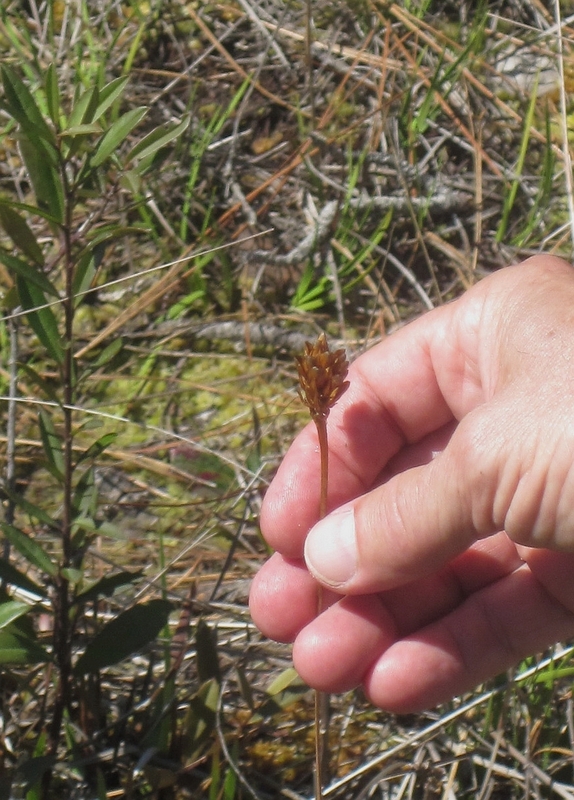 Our thanks to Paul for sharing his encyclopedic knowledge of plants (and he is new to the Southeast coast!) 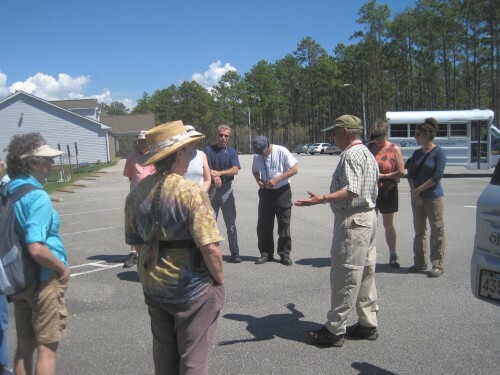 both as a leader for this walk and as a participant on other walks this past year. 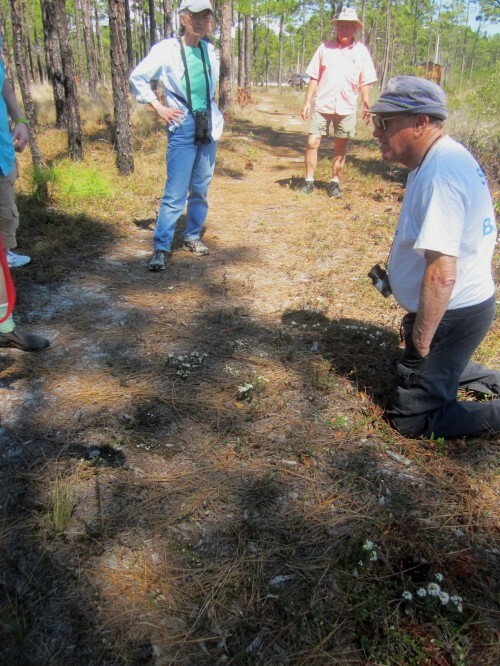 We are so glad to have him as part of the chapter.